We started as a small family business distributing the Umbro brand in Ireland and we are now Ireland’s Premier supplier of sports, outdoor, specialty and fashion brands to Irish retail. Our business was founded in 1989 as a distributor for Umbro, and after two successful years the business was changed to become an Umbro Licensee, allowing the business to be more market specific. As a licensee; we began to design and source our own products, items and ranges that suited the Irish market better than generic international range did at the time. With the change to licensee we could also negotiate our own sponsorship deals and formulate our own marketing strategies and platforms. Our first major deal was when we signed with the Irish Rugby Football Union (IRFU) from 1992-1994 and the signing of the Irish National Football team (FAI) in 1994 was a pivotal moment in our company history. The FAI contract that has successfully been renewed 5 times and the current deal runs until 2020. 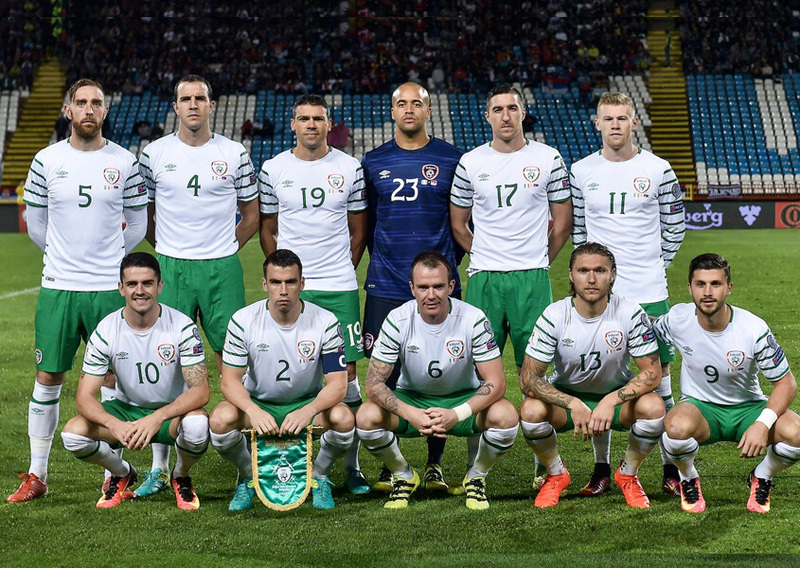 Other sports marketing contracts we hold with-in the business include Connacht Rugby, 10 AIL league clubs and Netball Northern Ireland through our BLK brand, Shamrock Rovers with New Balance and St. Patrick’s Athletic and Cabinteely with Umbro. We also hold hundreds of junior club deals across a spectrum of sports with our various brands. We also have numerous player sponsorship agreements across Rugby, GAA and Soccer, high profile players like Fergus McFadden, Cian Kelleher, Richard Keogh, Bernard Brogan, Diarmuid Connolly, Philly McMahon, Jack McCaffrey & Brian Fenton all wear our brands. 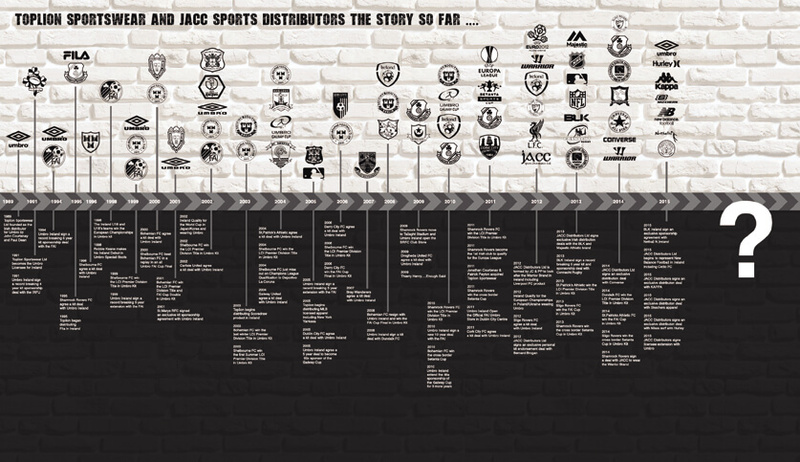 With a change in business direction in 2011 the JACC brand was established and internationally renowned brand partnerships were formed. Distribution and licensing deals for leading global brands like Converse, New Balance, BLK and Hurley were agreed and JACC grew rapidly. JACC now work with virtually every Irish retailer that sell wearables and we have a fully implemented distribution strategy for every brand at its desired level of retail. JACC is a wholly Irish owned and we are based in the West of Dublin with 40+ fulltime employees. With nearly 30 years of experience JACC has become Ireland’s leading supplier of sports, outdoor, specialty and fashion brands to Irish retail. We are a people orientated business and try to both develop and promote internally when possible. We provide a world class working environment for employees and we welcome all CVs through HR in our Contact Us section. Note from our MD “At JACC we are immensely proud of the fact that we have never handed a brand back to its owners in worse shape than when we were entrusted with looking after the brand in our territory. In fact that is why we retain so many of our brands and partner relationships over such a long periods of time. We are both proud and privileged to work with all of our brands and we treat each one with the respect, care and distribution level that is expected. We are meticulously focused on placing each brand into the correct retail environment and we work hard to infuse brand energy, heat and longevity at the consumer level to provide each and every product with the best chance of complete sell through”.